Now that we have a heading on our screen, and a résumé outline, we are ready to fill in the next level of the outline—an outline of our professional history. Most of us will find this part pretty easy because we know where we worked and when we worked there. Some of us will have to give the matter a little thought, perhaps because we have gaps in employment. Employers like résumés with no gaps even though they know some of us take breaks from our careers for very good reasons, such as raising families or going to school. We don’t want apparent gaps to reduce our chances of getting that first screening call or interview. Many of us will be able to describe our professional experience by listing the jobs we’ve held, the years we were at those jobs, and our job titles. This is a good place to start, in any case, because the listing will highlight any additional work we need to do. Employer Names: Most of us will not have any difficulty knowing the names of the employers to list on our résumés, but questions occasionally arise. Companies merge, break-up into divisions, or subsidiaries, or are sold and change names several times during our careers. Public agencies are reorganized or transferred into new umbrella organizations. Usually, I recommend using the current name of a job candidate’s employer, so readers can identify the organization and find it on the Internet. I worked for a Federal agency that was once known as the US. General Accounting Office, for example, but the agency is now called the U.S. Government Accountability Office. I use the organization’s current name on my résumé and LinkedIn profile, because not everyone will know the old name. Your list may contain names of companies that paid you to do work at other organizations. For example, a client listed OfficeTeam, a temporary employment agency, as her employer, but they assigned her to work at Prudential. She worked in Prudential’s office, used their equipment, reported to a supervisor at Prudential, and followed their rules at her job. OfficeTeam cut her paycheck, and sent her tax forms, but had little else to do with her. So, for résumé purposes, she worked for Prudential. I simplified an engineer’s résumé a few months ago because he started working at his current company in 1988, but his department was eliminated around 1995. His work was so valuable, though, that his bosses sent him to another company that put him on the payroll, then sent him back to work at the same desk! Eventually, the original company found a way to bring him back on their own payroll, where he remained until the end of 2014. So he really worked for the same company, in the same job, from 1988 to 2014. Employer Locations: Per our résumé example, we usually list the only the city and state the employer is located in. Most of the time, this is the location where you worked, not the headquarters or payroll office location. For example, my own employers included the U.S. Government Accountability Office, headquartered in Washington, DC, and ResCare, with a payroll office in Media, Pennsylvania, and headquarters office in Louisville, Kentucky. I worked for ResCare at an office in Brooklyn, NY, and for the GAO at an office in Manhattan, so the locations on my résumé are Brooklyn, NY and New York, NY. There is no need to list zip codes. Occasionally, we have to figure out what location to list. For example, a woman I assisted worked for an organization that sent her on missions to far flung corners of the earth, such as Mali and Ecuador. The head office was someplace in New York, but the client never set foot there. Nonetheless, she reported to them remotely, while travelling around the world to do her work, It made sense, in my view, to list the head office location. We could also omit the location reference entirely. Employment Dates: Again, most of us know our dates of employment and have little trouble writing them down, but we may not be sure how to present these dates. For example, should we list our dates of employment on the right side of the page, left side of the page, or just after the employer name? Do we need to list years, or months and years? Generally, we should list only years of employment, rather than months and years. Otherwise, readers will look at small gaps between jobs, and perhaps ask about them, when the gaps would not even be visible if we list only years. Also, if a job lasted only a few months, we should probably not include it on our résumé as a separate line-item, anyway. I recommend placing dates of employment at the right margin, after the employer and location. We read from left to right in English, so the dates of employment will be seen last. Our potential employer will fist see where we worked and what we accomplished, before seeing whether we worked there for a very short a very long time. Employers can verify employment dates, so the most important thing is to provide accurate dates, regardless of how we format the information. Fill Your Gaps in Salaried Employment. Some of us will find gaps in our employment history when we list out the jobs we have had, and when we worked at those jobs. Potential employers imagine the worst case scenario for an employment gap. Gaps in paid employment occur for a variety of good reasons. Some of us take time off to raise families, or attend graduate school, for example. We can explain this when we get to the interview, but first we have to get in the door. Think about what you did while you were away from the workforce. Chances are, you were not sitting in front of the TV or posting to Facebook all day. You were probably doing something that adds to your record of accomplishments. Let Go of Ancient History. Frequently, job candidates come to me with three or four page résumés because they have documented every job they have had for the last 30 years since high school or college. Résumés need not be one page, but no one is likely to read a three or four page résumé. It is usually useful to include only jobs that ended less than ten years ago. Employers do not have records going back more than seven to ten years, and technology has changed a great deal in the last few decades. There’s a good chance your current job title—Web Developer, for example—did not exist 20 years ago. So, it may not strengthen your case to dwell on the details of your career prior to 2005. A good compromise is to create a subheading, “Employment Prior to 2005:” then list the employers and job titles with no dates or narrative. This acknowledges that your career did not start in 2005 without giving away your age, or getting into details of a prior career. The Next Step is to fill in Appointment Details. Once we’ve outlined our work history for the last ten years, and filled in any gaps, it is time to describe the details of what we accomplished at each job. Your hiring manager may spend a lot of time discussing this section of the résumé with you, so next week we will talk about the best way to flesh out the details. Frank Grossman has extensive experience as a career advisor, resume writer, and workforce development specialist in New York City and Philadelphia. He has helped thousands of candidates create resumes that make them shine. 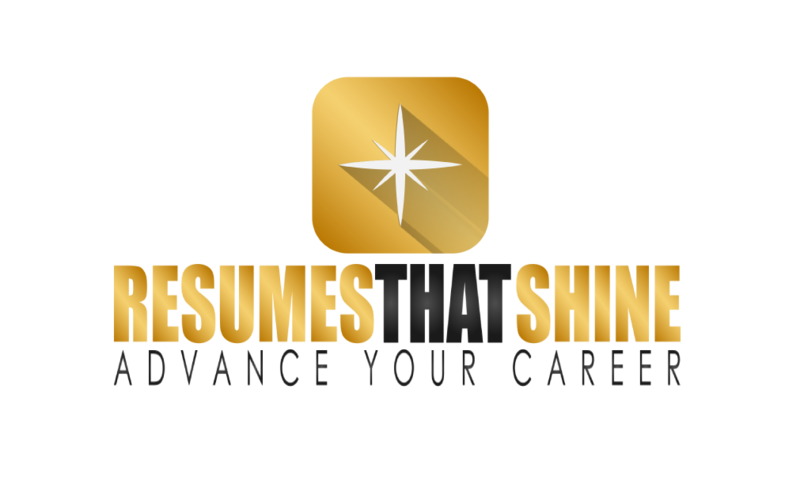 You may contact Frank at Frank@resumesthatshine.com or view his Website at www.resumesthatshine.com for additional information. 4 Ways LinkedIn Can Improve Your Job Search. REFERENCES ARE AVAILABLE UPON REQUESTS—THEY ARE JUST NOT ON YOUR RÉSUMÉ!